We planted a small backyard raised bed of 70’ x 3’ anchored by 2 Dynamite crape myrtles to each side and 7 Green Tower boxwood shrubs for height and chrysalis formation. 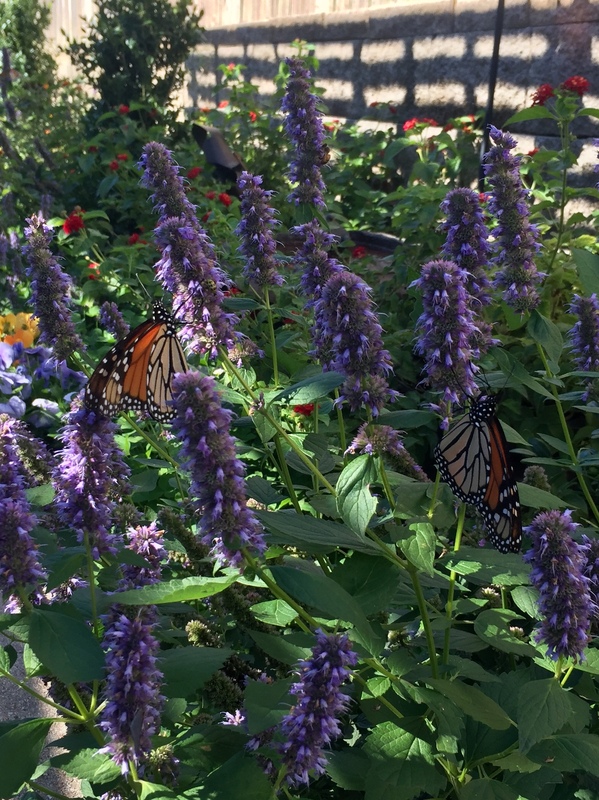 To attract butterflies, we chose Buddleia Flutterby Petite butterfly bushes, blue puffball petite vitex shrubs, blue fortune hyssop, lantana annuals, and parsley as host plants for black swallowtail butterflies. Clover was also planted for use as green mulch to discourage weeds. Milkweed was planted, but failed. We hope to succeed with new milkweed plantings this year, but we did succeed last fall in attracting monarchs during their migration. What a joy!